The man who calls himself the leader of Illinois' Republican Party conti ues to refuse to weigh in on this year's election. A record-setting audience of 80 million people tuned in to watch Monday's presidential debate. The next day, Rauner told reporters he wasn't one of them. A reporter Tuesday afternoon asked: "Did you watch last night's debate?" "I did not," he replied. Which means he didn't hear his party's nominee, Donald Trump, say this about Illinois' largest city: "In Chicago they've had thousands of shootings -- thousands - since Jan. 1. And I'm saying 'Where is this? Is this a war-torn country? What are we doing?'" Reporters on Wednesday (twice) asked Rauner for his reaction to Trump's remarks. "I'm not commenting on the presidential politics. Presidential race, campaigns, comments. Not commenting," Rauner said in response. Rauner later said "this election matters" in reference to state legislative races. Earlier this week, the governor said violence stems from a lack of opportunity. Rauner skipped his party's national convention, but months ago said he will support the Republican nominee. Before he was governor, Bruce Rauner was a private equity investor -- he became rich by keeping a sharp eye on his investments. 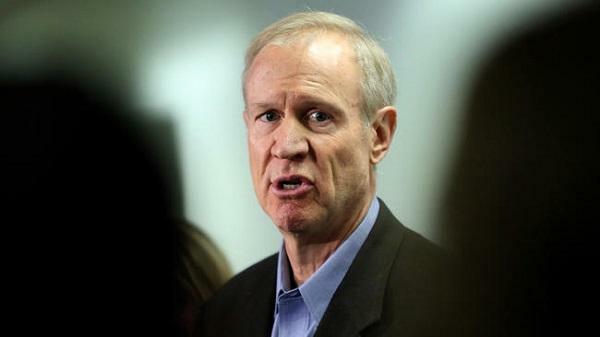 But, Rauner says he is NOT taking the same approach to politics.